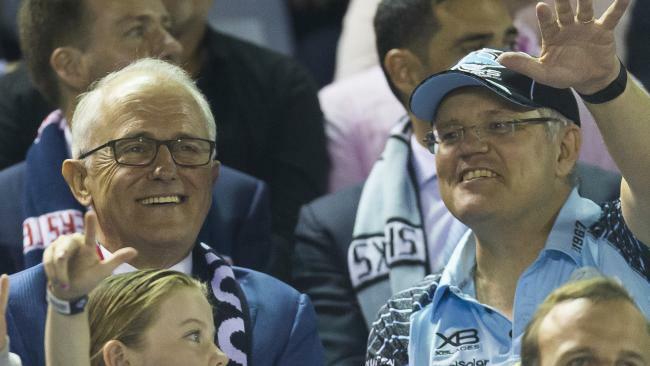 Prime Minister Scott Morrison and the man he replaced Malcolm Turnbull at an NRL match...Will Australians continue to buy the line that politicians are just like us? "GIVE it to me straight," John Williamson sings in the Aussie classic True Blue. And in five words he captures the essence of the no-nonsense Australian attitude of just wanting people to be, well, fair dinkum with us. If country music isn't your thing, in rap terms it sort of means keeping it real. We're all about authenticity. Politicians wonder whether their policies will pass the "pub test", a term that doesn't really pass the pub test itself, because no one other than politicians uses it. In the real world, people talk about their bullsh*t detectors instead. 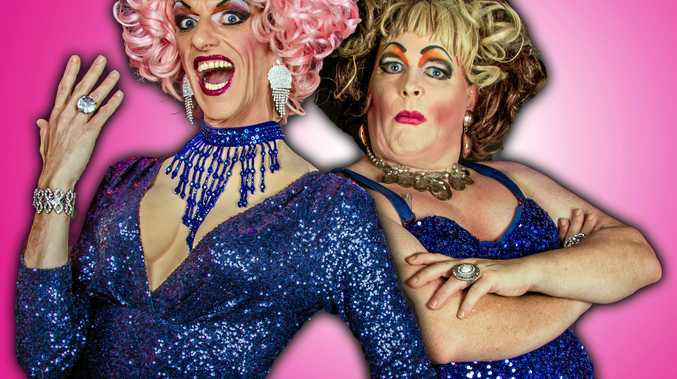 And around Australia, that sound you've been hearing lately? It's the sound of everyone's detectors going off at once. In this country, it takes two seconds to get rid of a prime minister and two months to get rid of plastic bags. People get angry about both, not just because of the change itself, but because in each case they feel like they've been conned. 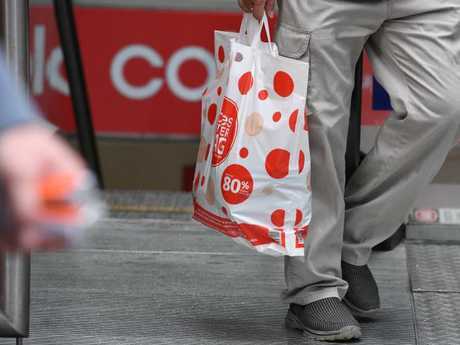 Coles and Woolworths performed Olympic-worthy gymnastic backflip routines on the plastic bag ban that saw that saw bags banned, then alternatives cost 15 cents, then given out for free, then 15 cents again, all in the space of a few weeks. The lack of conviction in supermarket bosses sticking to their plan and taking leadership in doing the right thing played into suspicions people had all along: that supermarkets care more about their bottom line than they do about the environment. That they wobbled proved they weren't authentic. They weren't being true blue. I don't think most shoppers want to harm the environment. By and large, I reckon people want to do their bit. We just want supermarkets to do their bit too. Shoppers want to do their bit to help the environment. You see, on one hand, we're told the plastic bags we carry home can get in to the waterways and kill endangered animals. Fair enough, no one wants that. But on the other hand, when walking through the supermarket, clutching our new canvas bags, we see bananas, apples, Kiwi fruit, all wrapped in plastic. It's not just hypocritical, it's actually a little unhinged. Nature gave all these fruits skins to protect them and keep them fresh. Nature even joins a week's worth of bananas together for us. Now that's what I call convenience! If the plastic in the fruit section wasn't reason enough to be confused, Coles gave families 30 itsy bitsy, teeny weeny, tiny, cutie little mini reasons to be confused. Well, 30 if you manage to collect them all. An endangered sea turtle might swallow a Coles Mini in the Pacific Ocean, but I don't swallow the logic that millions of plastic bags are bad, but millions of plastic toys are fine. It doesn't make sense. It's not fair dinkum. What's interesting is that while Woolworths was perfecting its plastic bag gymnastic routine, and Coles was giving out mini-toys that contribute to maxi-landfill, Aldi, which never bothered giving out bags in the first place, was named the most trusted brand in Australia. It's extraordinary: a supermarket whose German founders might need "fair dinkum" translated for them, has become our most trusted brand, in the space of less than twenty years since it first opened here. Maybe German efficiency matches Australian practicality to build trust in ways that Aussie supermarkets have trouble understanding. Part of the key, you'd think, is that Aldi has mastered the art of authenticity in quite a simple way: it just doesn't pretend to be something that it isn't. 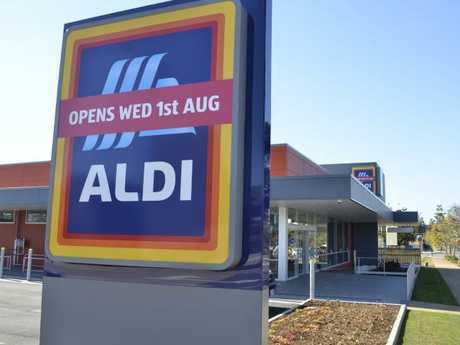 Aldi has shown how trust and authenticity can be built quickly. But it can be shredded even faster. Just ask the executives at AMP about that. The company that's been around since 1849, has had its reputation - and share price - shaken by evidence at the Royal Commission. AMP shares were above $5.00 before the Royal Commission hearings. They now sit at around $3.35. "AMP's skyrocketing level of distrust has cost the household brand billions of dollars," Michele Levine, Roy Morgan CEO, said this week, when the results of the company's trust score survey came out. The financial institution hasn't been the only one under attack. Other banks and brokers, who we trust with our mortgages and super, with everything we've saved for and everything we've earned, all put through the ringer for essentially the same reason: not being fair dinkum. Watching all of this unfold, of course, are the politicians. Ask yourself, have the leadership spills made you more trusting or less trusting of politicians? When they make promises now, do you see them as authentic? When they visit the bush in an Akubra, do they really seem true blue? John Williamson finishes that song, True Blue, by asking, "If they sell us out like sponge cake, will you really care?" The banks and pollies have been selling us out like sponge cake. The supermarkets have been too, but they're wrapping the cake in plastic first.